What do you get for people who have everything? When you are super rich and money is no object, quality and rarity are the next best thing, and this is something that luxury brands catering to that market understand very well. 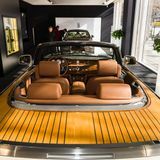 From diamond-encrusted dashboards to highly-customised interiors, legendary car makers Rolls Royce, for example, have been adept at helping their exclusive clientele indulge in their passion for cars. Jaguar are another car design icon with a rich history, revered in the world of classic racing cars. Meanwhile, Jaguar were enjoying a growing reputation in the racing world due to their motorsport successes. After winning the Le Mans race with a C-type twice and with a D-type three times in the 1950s, they built the E-type, which is perhaps the most iconic racing car of all time and was, at the time, the epitome of coolness. 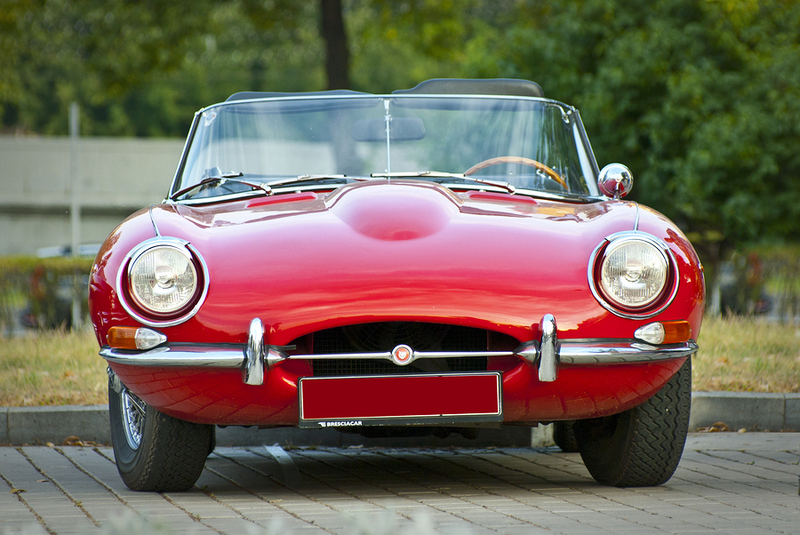 In 1963, Jaguar decided to build a lighter version of the E-type. Using the blueprints of the standard model but substituting its metal sheets for an aluminium body shell, they shed 114kg off its weight. Not only was this car supremely elegant with its long fuselage, but it could reach 240km/h (150mph). Lighter, faster, it is no surprise that it won 21 major races. Half a century later, the E-type Lightweight is still regarded as highly as ever. Interestingly, although Jaguar had planned to build 18 of them, as recorded in their ledger book from the 1960s, only 12 were made. In 2014, it was decided to complete the vision and resurrect this legendary car and re-create the 6 “missing” Lightweights to the same specifications as the 1960s ones. What it meant was that absolutely everything would be done by hand. While Jaguar’s state-of-the-art production line will assemble a car chassis in five hours, doing so by hand will take two months – and nothing but perfection will do. Even the smallest chip on the engine frame, which would be invisible once it is mounted inside the car, makes it unsuitable and is rejected; the gaps around doors and between panels have to be precisely the same, to the millimetre, or they will be sent back for adjustment. Why this obsession with the smallest details? Well, buying a Jaguar isn’t just about buying a car: it is about entering a very exclusive world; it is a passport to a lifestyle of rarity, rallies and events with similarly-wealthy individuals, for whom only the very best is acceptable – and expected. When it comes to classic cars, authenticity is as crucial as quality. It doesn’t mean that the re-created E-type Lightweight should look as though it had been built in the Sixties, but that the production team actually has to use original production processes too. Each panel, for example, has to be hand-shaped as they were in the 1960s, with the exception of the bonnet which was too big. This task was left to presses – but not to any old press of course, it has to be performed by the one factory where it had been done in the 1960s and which still had the original equipment. Once all the parts have been assembled, it is another 250 man hours of sanding to remove any imperfections from the outer metal (instead of 10 on the production line); four times more primer than for a normal car and nine layers of paint and lacquer to give it its inimitable look – with the same colours the 1960s models would have been painted in. Only flawless material is used, and about three hides are necessary for one car to cover the seats, the leather-clad door panels and the gator for the gear-shifter. The result of so much love and attention to detail is a stunning car which roars and performs like a dream. Yet, not everybody might take to it: it has no racing history, which puts it at a disadvantage compared to a restored 1960s model. One such sceptic is the organiser of the Goodwood Festival of Speed, the mecca of classic racing circuits. He is adamant that the new Lightweight will not be invited to participate. Other owners of E-type Lightweights argue that this move is wrong and even “sullies” the history of the car. Faced with this reaction, Jaguar’s marketing team had to devise a clever sales strategy. Perhaps the new models lack the history, but not the uniqueness. 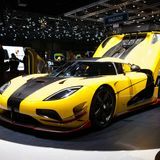 To promote this, each potential buyer will receive a video and book about the car they will be purchasing, as well as additional products created specifically for the occasion, such as a hand-made watch including a bit of metal of the car melted into it, with a mechanism in the shape of a Jaguar wheel. They will choose who might be worthy of owning one of those beauties, so if they haven’t contacted you yet, you’re not on the list! Since the vote on Brexit in May 2016, the pound sterling has weakened against most currencies. It has helped the British economy by making its exports more attractive, and if you are thinking about starting or enlarging your car collection, it is the perfect time to do so. What Is the Difference Between a Supercar and a Hypercar? Both supercars and hypercars are characterised by luxury, desirability and mechanical power, so what is the difference between them?